Home appliances are a very valuable (and heavy) part of every home. 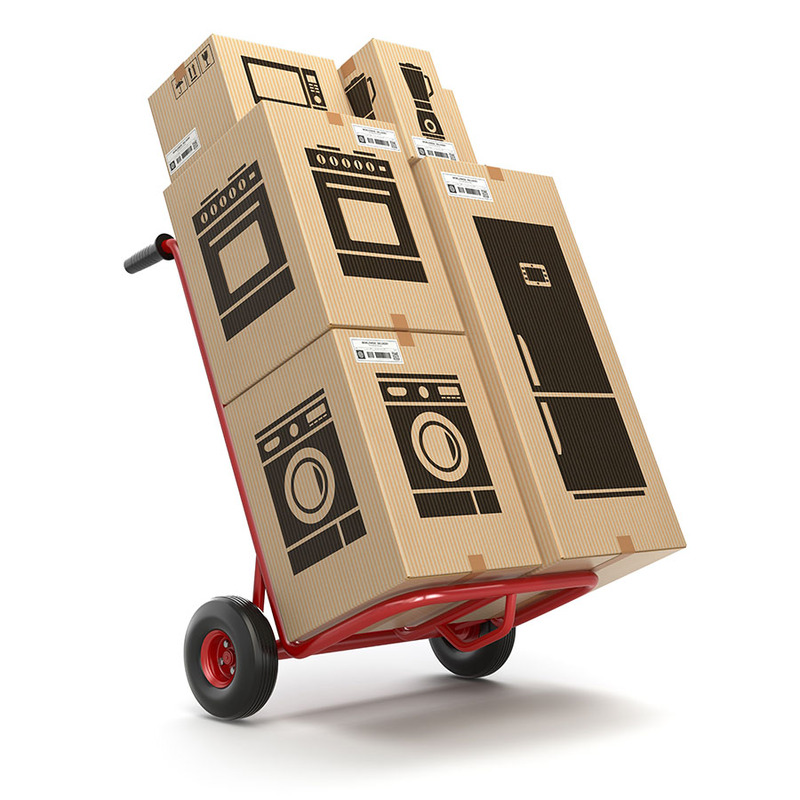 When you have to move home appliances, you will want to ensure that both you and your appliances make it through the moving process safely. In today’s blog from the pros at Affordable Family Storage in Des Moines, we will discuss safe and secure storage solutions for home appliances. Read on to learn more. In the interest of safety, always disconnect appliances from their electrical outlets before you begin the process of cleaning them. Once the appliance has been disconnected, begin by removing all items from the appliance that may come loose during the move. If it is a refrigerator, that will mean removing all food items, shelves, and crisper drawers. For dishwashers and ovens, remove all metal racks and any items that may come loose during moving. It is recommended to wrap metal racks, crisper drawers and other appliances parts in bubble wrap and move them separately. Once the appliances have been cleared of any food items and loose parts, it’s time for a thorough cleaning. Use degreasing and disinfectant cleaning products to remove any built-up foodstuff on the inside of the appliances. Some appliances, such as ovens, can be quite difficult to clean completely, but it is an important step that shouldn’t be overlooked. If an organic material such as food or grease is left in an appliance that requires a long-term storage solution, the resulting smelly stuck-on mess may make it difficult or impossible to bring the appliance back into use after storage. Make sure that the appliance has had time to dry out completely before you move on. Affordable Family Storage Quick Tip: Plan ahead when moving a refrigerator or freezer. It may take several hours to completely defrost the unit, so start with this step! Depending on the type of appliance, the process of disconnecting the unit from electric, water, and discharge lines can be complicated. Refer to your owner’s manual for specific instructions, and remember, always disconnect the unit from power before you begin the process. Gather together all the pieces you remove and store them in a safe place, preferably in a sturdy container that can be kept with the appliance itself while in storage. Make sure to include the owner’s manual with the rest of the hardware items. Safety is very important when moving heavy home appliances. Always bring along a friend or family member to assist you when moving. Always team lift heavy items and have your helper spot you when you are climbing in and out of moving trucks. It may cost a little extra, but don’t skimp when it comes to renting moving equipment. A hand truck with safety straps is a major advantage when moving appliances, ensuring a simple and safe process. Lifting straps are another helpful tool for moving heavy appliances, but make sure to read the instructions first and perform team lifts every time. Helpful moving equipment is an important part of your overall storage solution. Make sure to use personal safety equipment as well, including work gloves, a back brace, and protective eyewear. It may not seem absolutely necessary, but even the possibility of a serious injury is enough to justify going above and beyond to protect yourself. Make sure to wear proper footwear, with grippy rubber soles and a tight fit, preferably with a steel toe if you are moving heavy appliances. Whether you are moving a whole household of home appliances into storage or you’re just storing a blender, we want you to be safe, comfortable and satisfied with your experience at Affordable Family Storage. We offer a variety of storage solutions to meet the unique needs of every customer. Contact us today to find out how we can help!